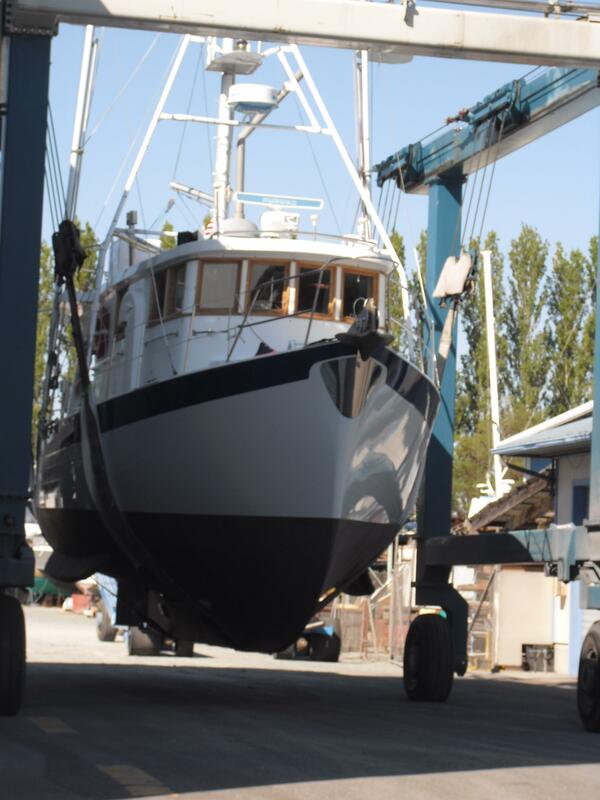 Rare, high quality built, economical Long Range Cruiser (LRC). Yes, she does make it to Hawaii with fuel to spare! 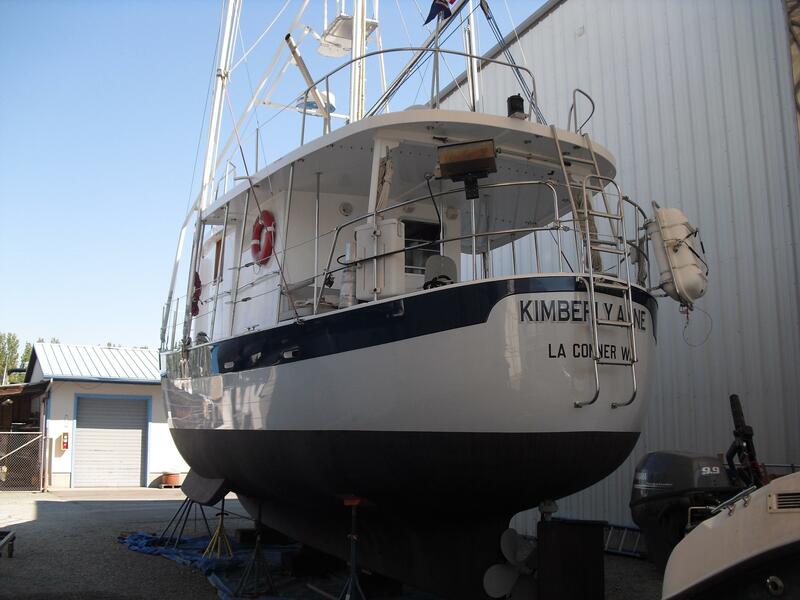 "Kimberly Anne" is powered by a 4-71 single Detroit engine with a huge 1400 gals fuel capacity. 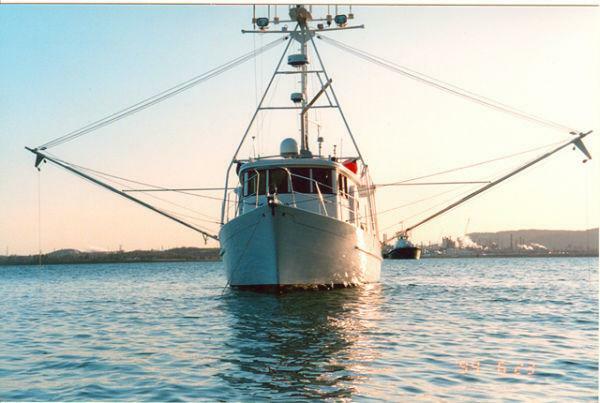 She has an extensive stabilizing system for rough water. 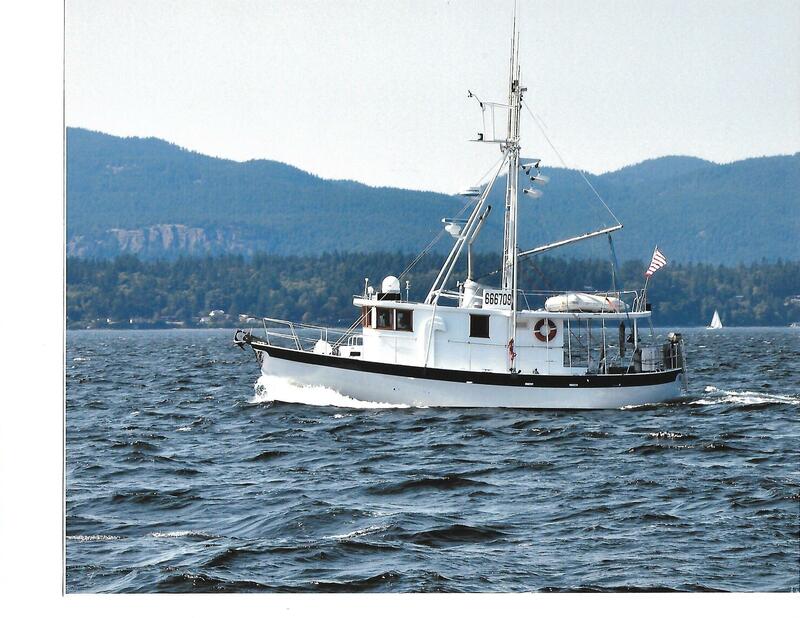 This is a well cared for, veteran Mexico to Alaska cruiser and would be a very expensive vessel to build/duplicate today. 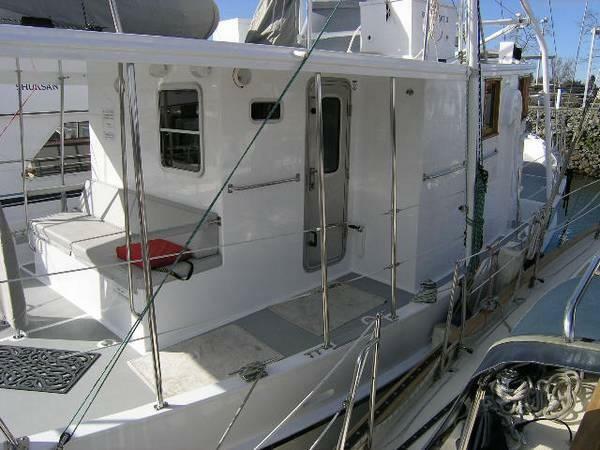 She has very spacious aft and side decks for great outside living space. 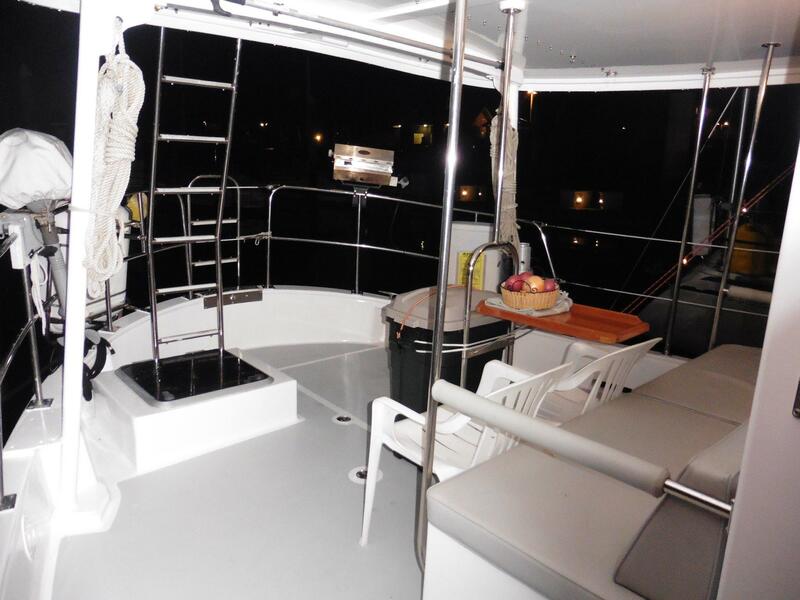 A 2-stateroom vessel, fully equipped and ready to cruise! 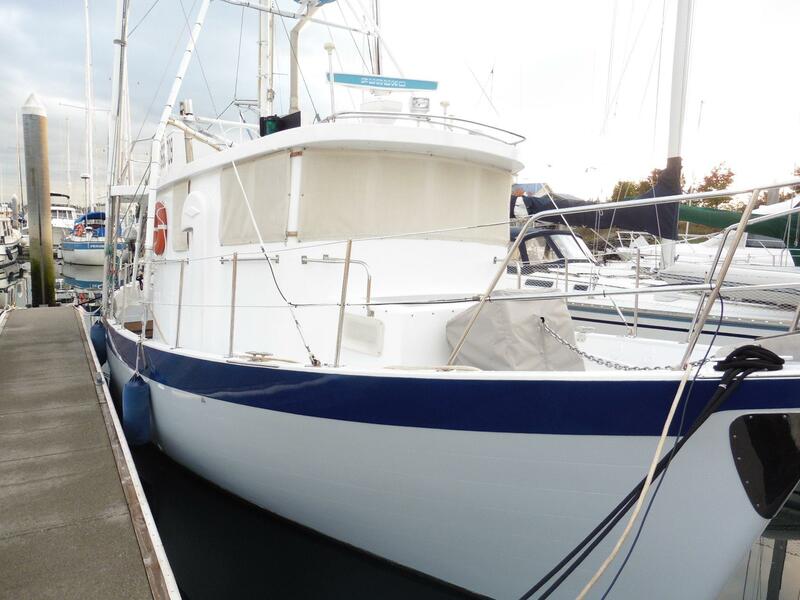 Lots of recent upgrades, she's a stunning boat with new hull paint and much more. 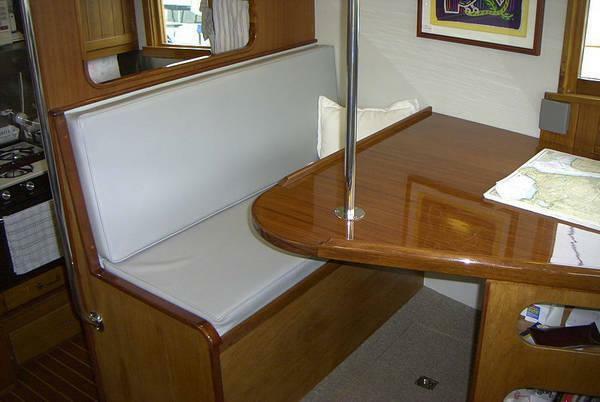 THIS INCREDIBLE CRUISING LRC NOW $149,000. 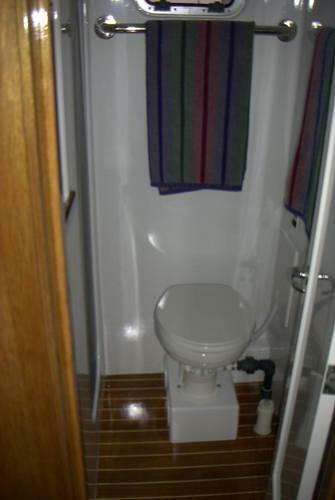 Enter through a protected watertight door amidships on starboard side. 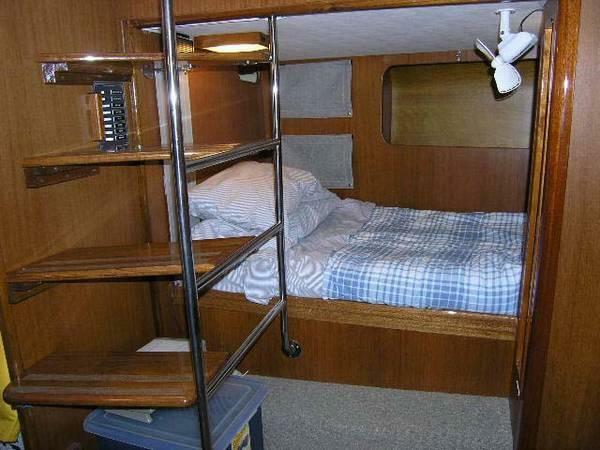 Below and aft of entry is master stateroom with single berths on each side, hanging locker, under bunk and side wall storage, washer/dryer combo accessed by spiral stair. 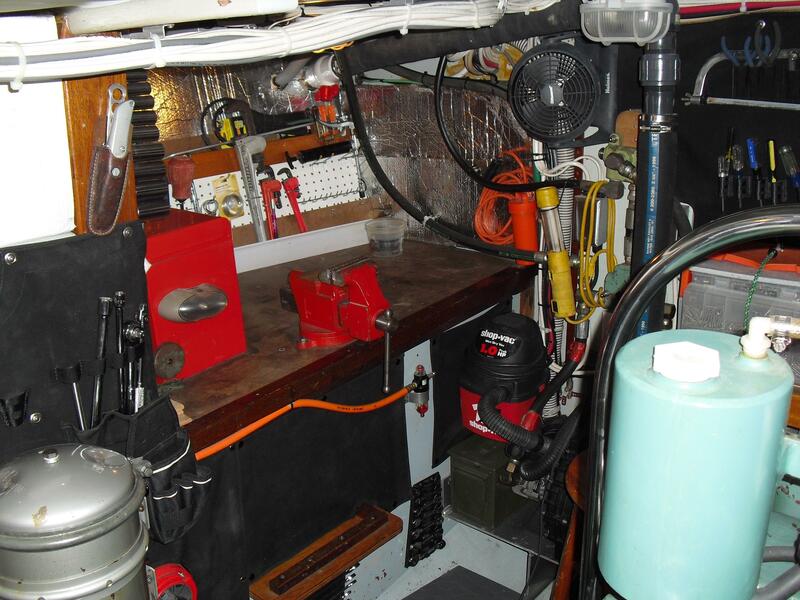 Cabin sides are insulated with 7" of foam and top 5" of foam. 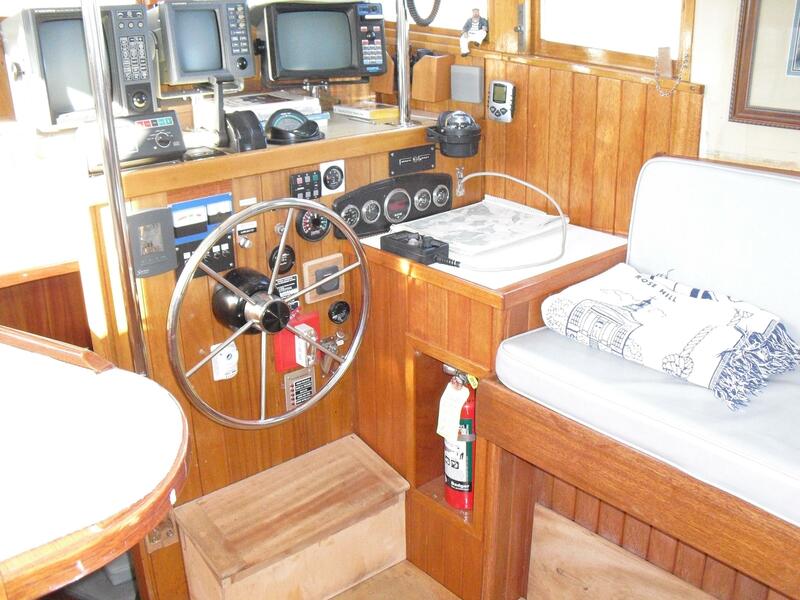 Main pilothouse cabin has head on port side with S/S sink, mirror, power vent in stand-alone shower. 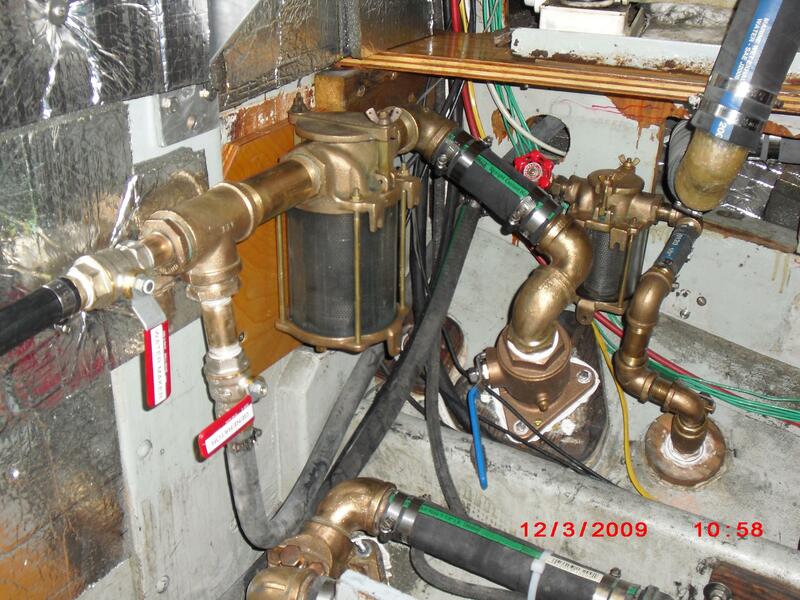 Marine fresh water flush head located directly over the holding tank, no hoses. 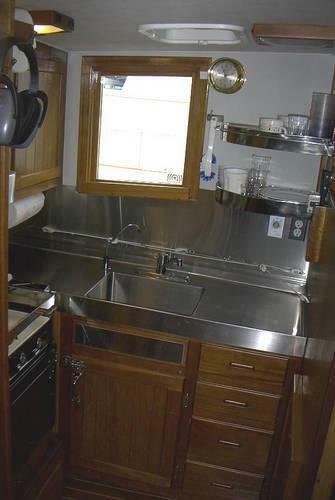 Ships galley is starboard with S/S single deep sink and 14" back splash. Ample cabinet and drawer storage fully equipped with all utensils and dishes. 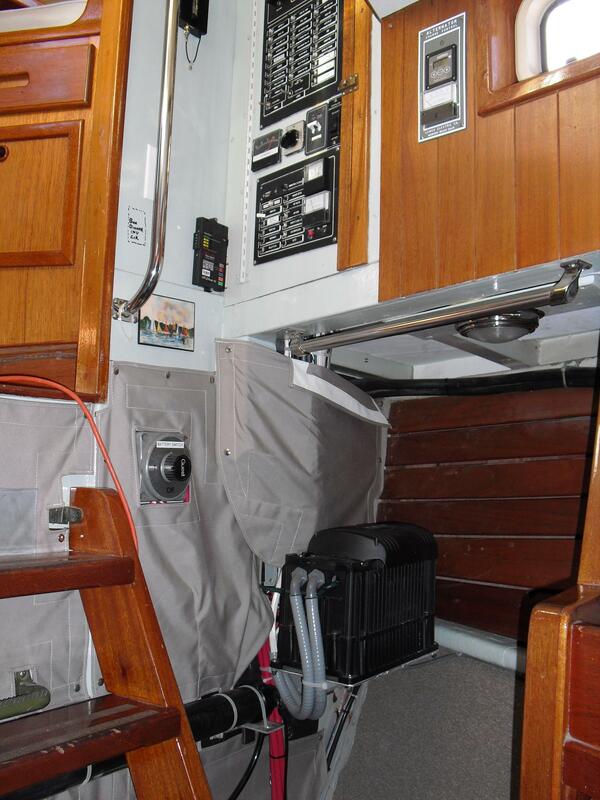 Drawer and under seat lighted pantry/storage for ships provisions, pots and pans included. 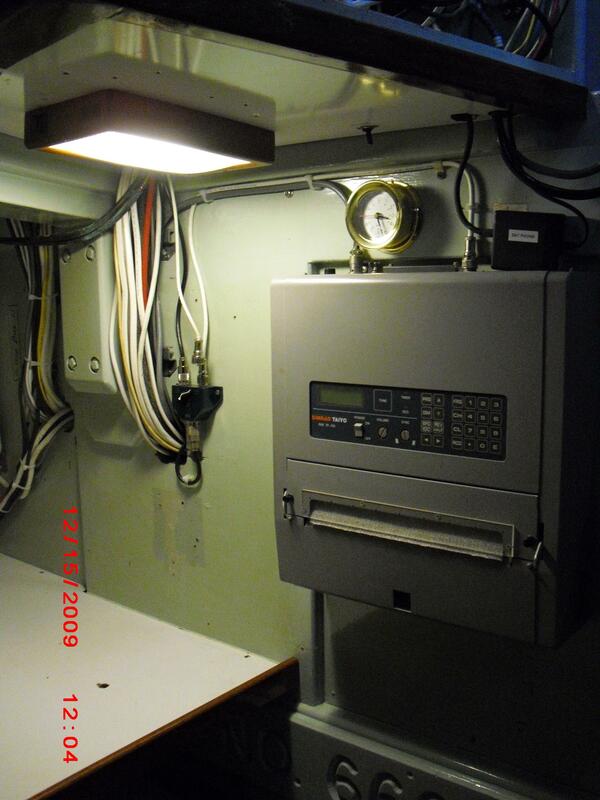 Galley has a 'pass thru' allowing watch while underway. 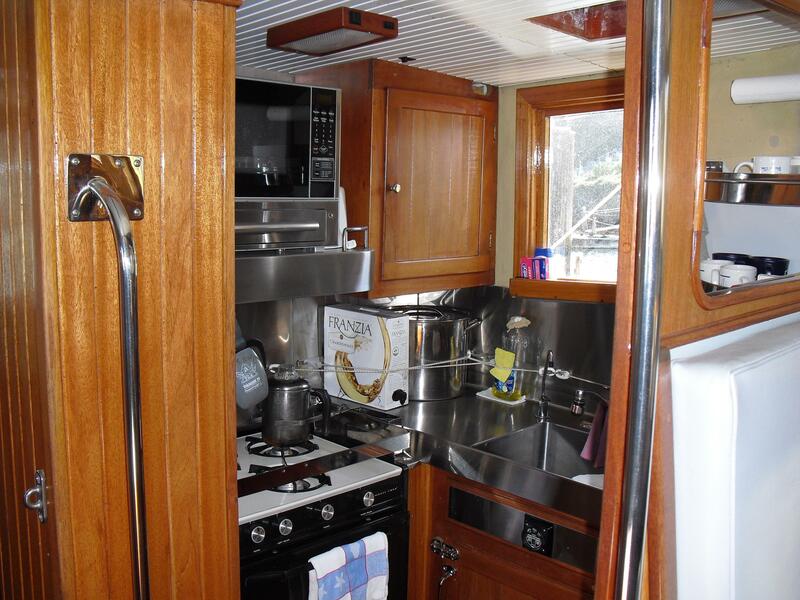 Custom Sea Breeze refrigerator/freezer with S/S paneled doors. 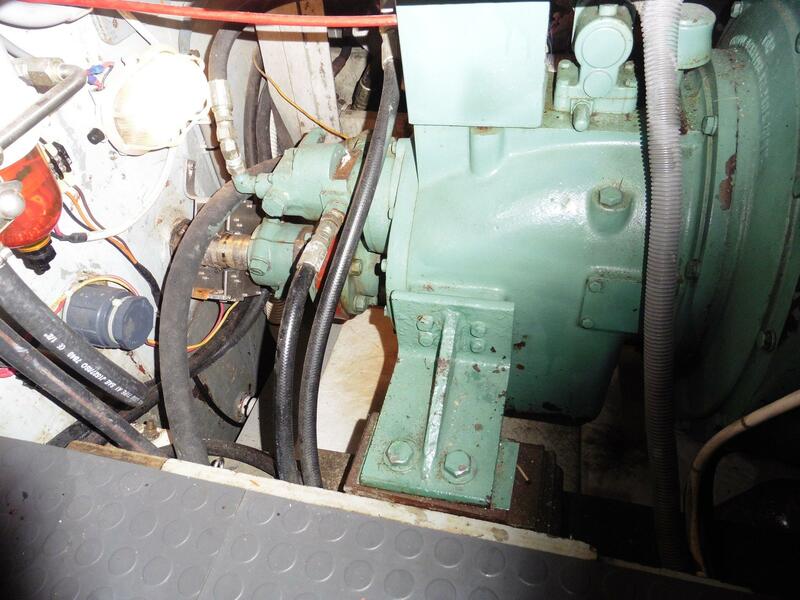 Compressor located above inside covered deck box for max efficiency. 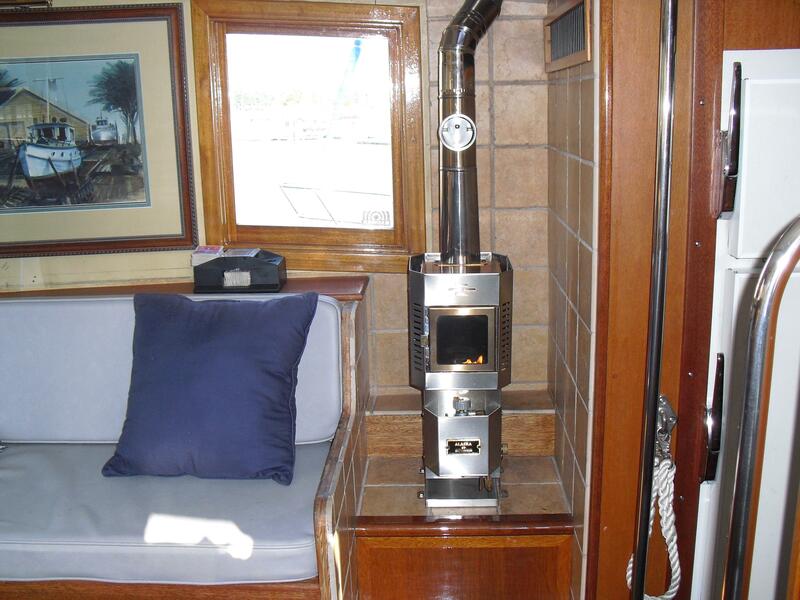 LPG 3 burner stove/oven with electric shutoff for 2 LPG tanks located in boat deck vented locker outside overhead. Microwave is a Kenmore combo microwave/pizza (cookie) oven located over the S/S vent hood with exhaust fan and LED lighting. 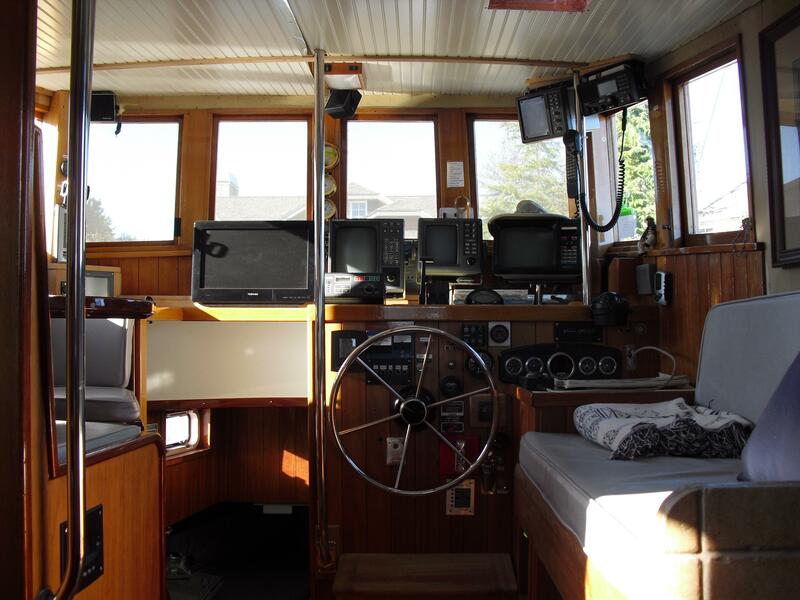 The helm station and navigation equipment are located forward of a built in table accommodating three adults with a starboard side settee for company. 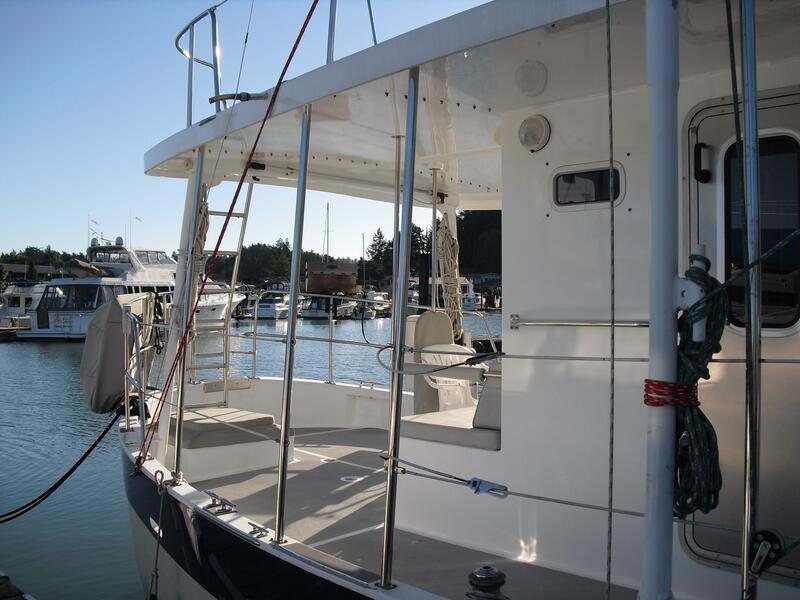 Ample windows and overhead ports throughout the cabin for visibility including grab rails strategically located throughout for stability while underway. 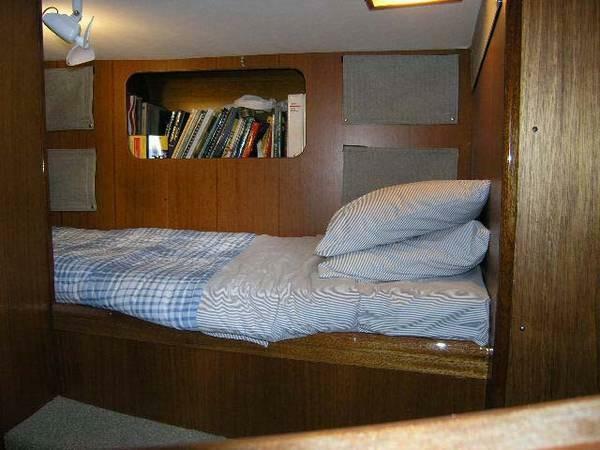 Further forward and below is located a high low v-berth with emergency equipment, storm panel, parachute sea anchor, life jacket, survival suit and misc. 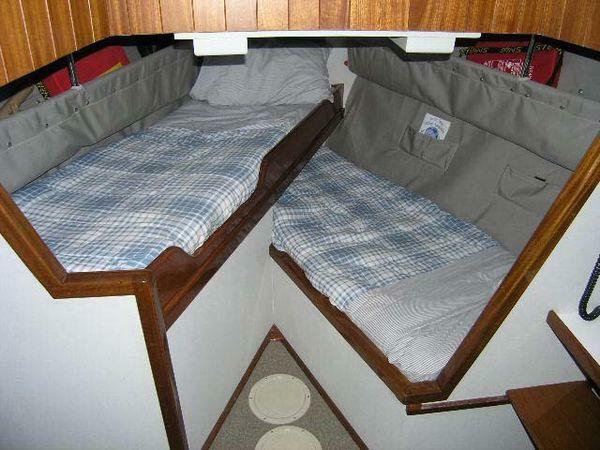 survival gear stored under the port bunk. 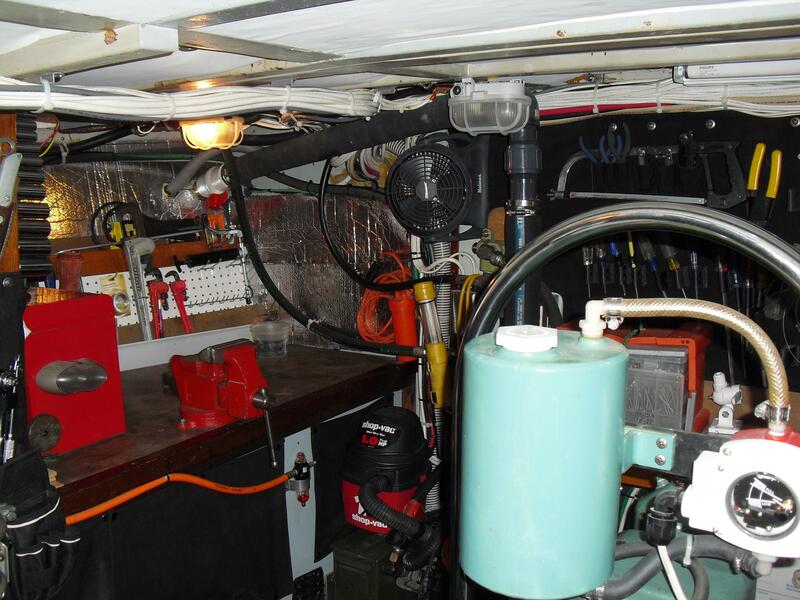 This area also contains the ships radio/computer station, electrical cabinets, inverter/charger, and hanging storage. 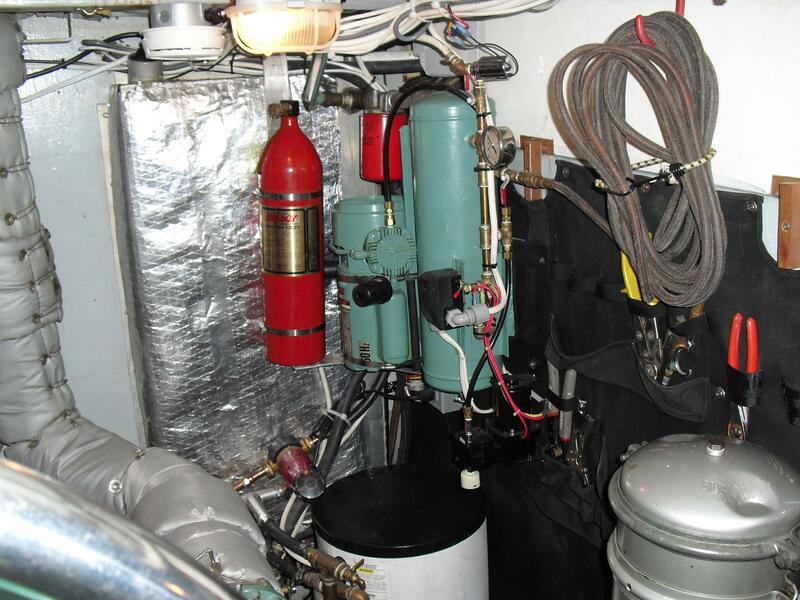 The main cabin is heated and cooled by a Cruise Air reverse cycle unit while 110 v AC is available and an Alaskan Diesel cabin heater with hot water coil for heat using the DC electrical system. Three GPS units equally divide duty to all equipment requiring GPS data so as not to overload any one GPS system. Each primary navigation system- (radar, auto pilot, radio, depth, navigation display, compass) have a second backup system. 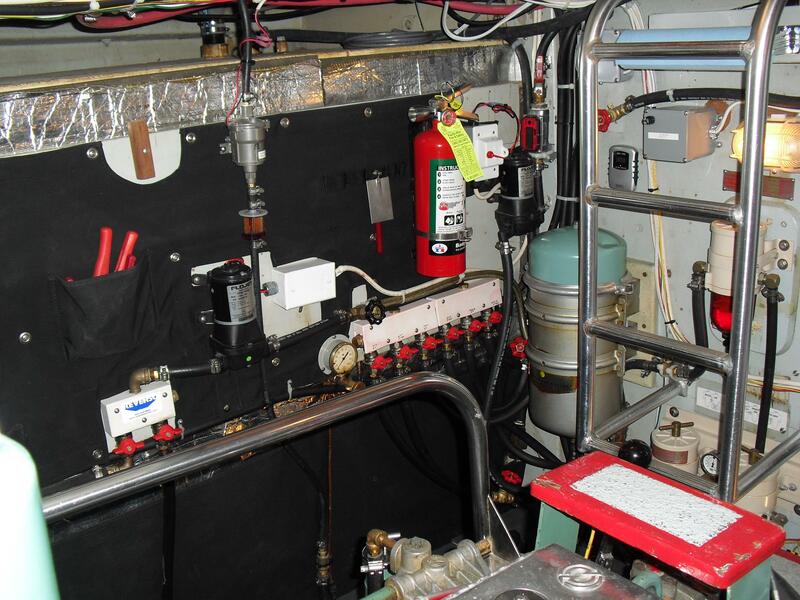 The ship is equipped with an AIS transmitter/receiver transponder, fire and flood alarms. 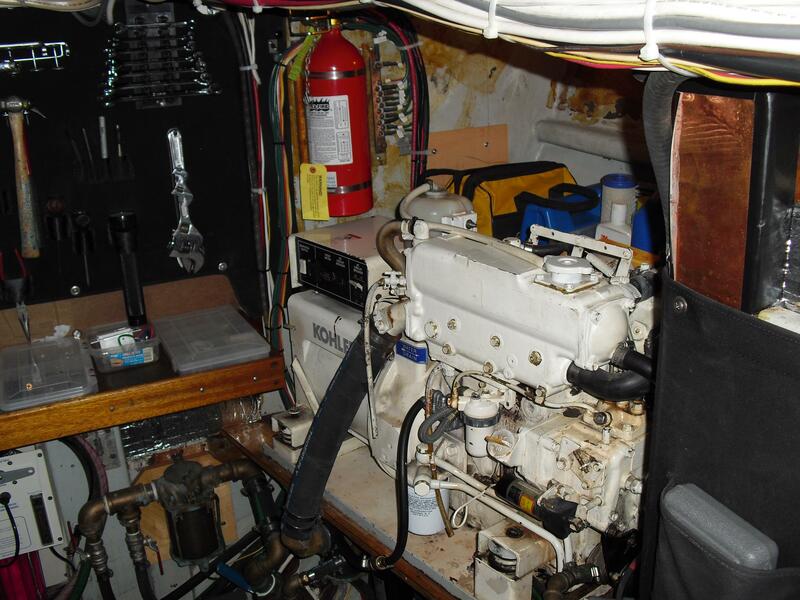 Color TV guards the engine room while underway, along with an automatic array of engine, generator alarms. 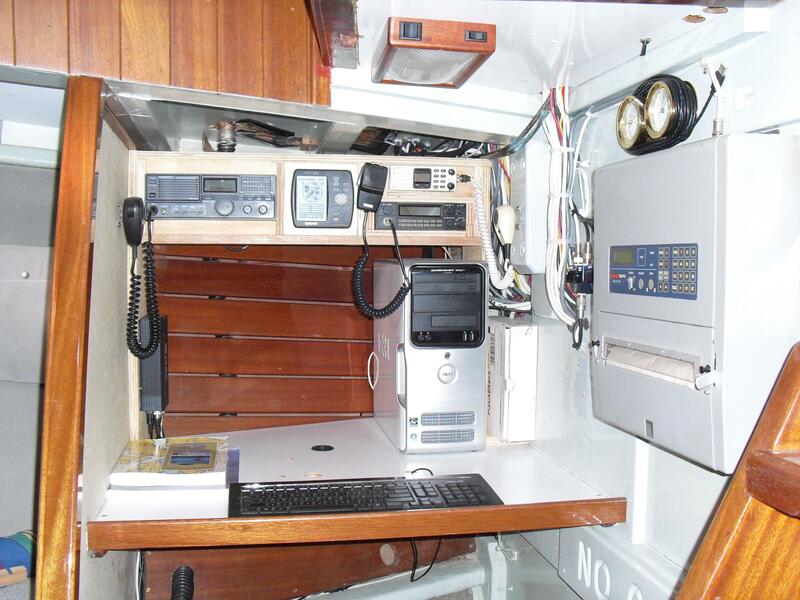 Simrad weather FAX tied into a Kenwood SSB, ACR 406 EPIRB with GPS updating, Mitsubishi satellite telephone, Davis weather station,automatic fog horn and air horn compliment safety equipment. 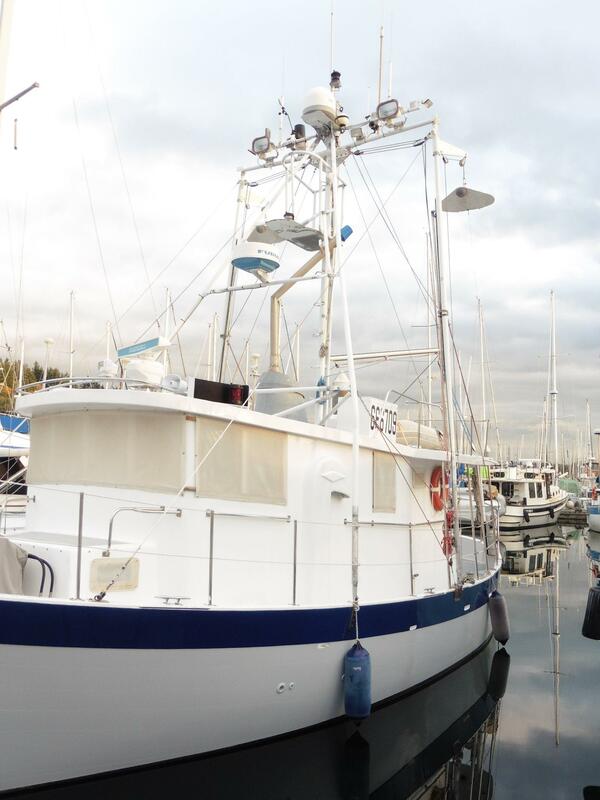 Two forward mast mounted 500 watt flood lights and a remote search light located on the top boat deck and mast. 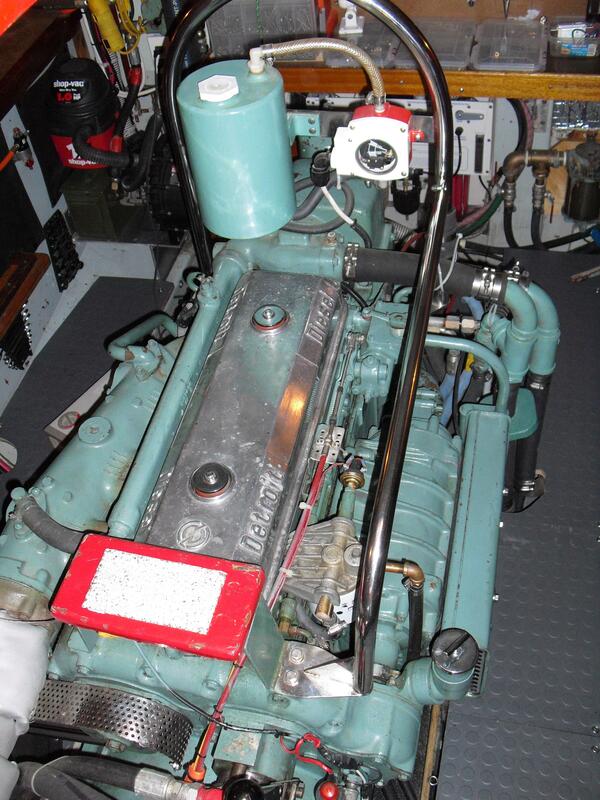 Hydraulic anchor windlass powered by an engine driven PTO pump which also will operate an emergency bilge pump. 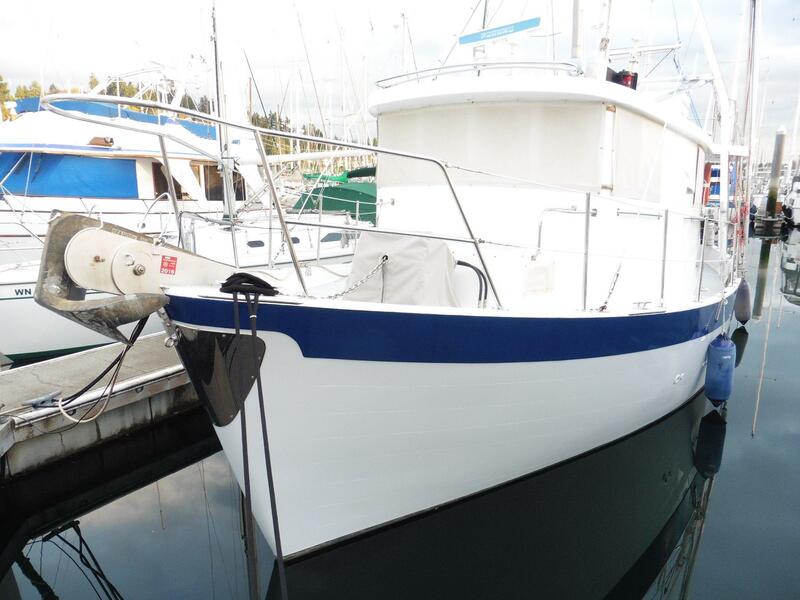 Bruce main anchor 110# with 130 fathoms of rode plus 2 spare 150' rodes in tubes over the anchor chain locker. 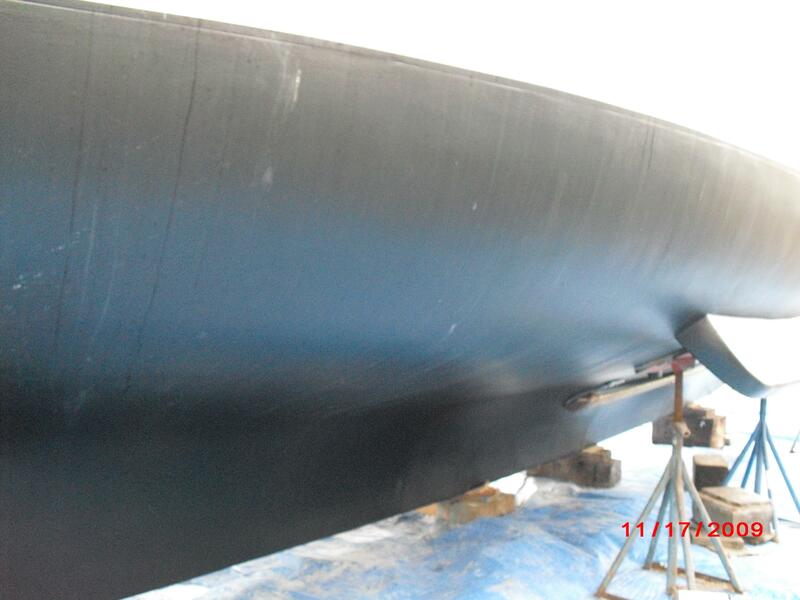 The working anchor is mounted on a custom S/S walking beam bow roller. 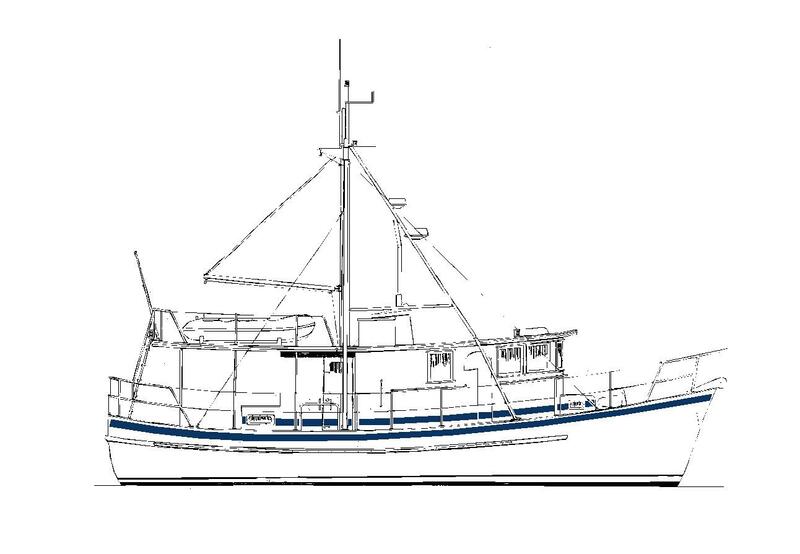 There are 2 spare anchors, 66# and 44#, plus a folding aluminum high strength anchor and an additional parachute sea anchor. 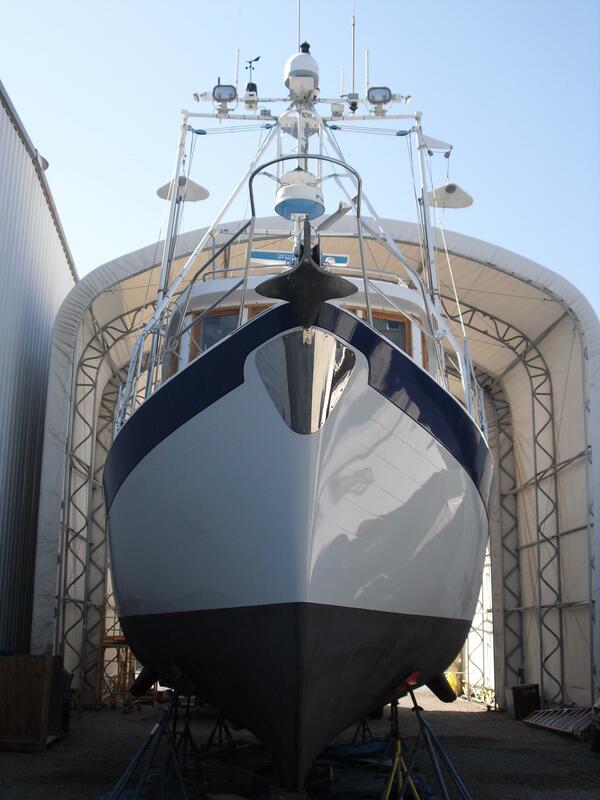 Full complement of fenders, spare paravanes, ten 12" S/S cleats strategically located along the toe rail. 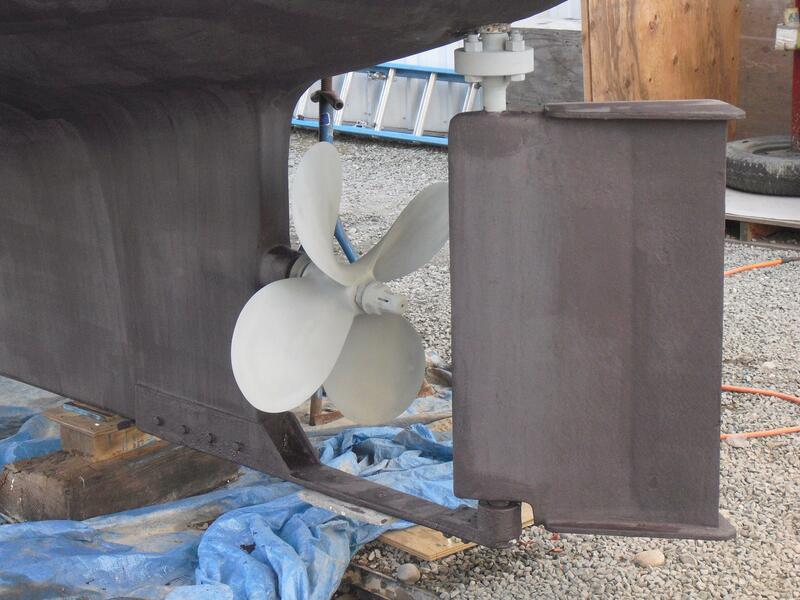 Custom S/S steel chain mooring system with mooring float clip and shock cord attached to a bow mooring ring located under the main anchor to avoid snagging. Numerous life jackets both self inflating and non inflating. Hand held and automatic Halon Fire extinguishers. 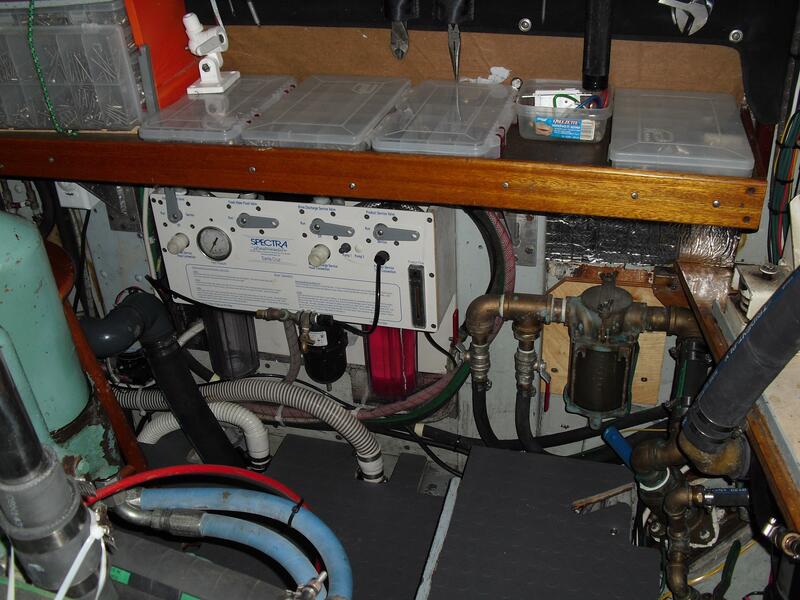 Givens Life Raft (not current). Life Sling. 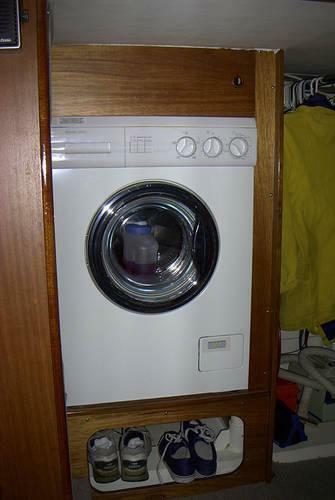 Cabin mounted life rings. Signal flares and flare gun. 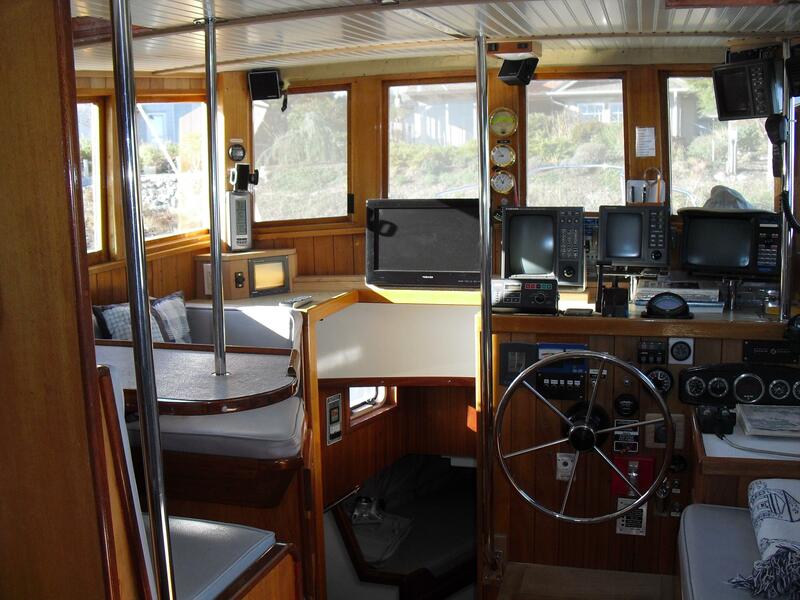 Automatic distress signal equipped Radios. GPS EPIRB, automatically water activated. AIS system. Two immersion suits. Survival bag containing hand operated water maker and food packs. Paper charts covering most world areas. Sextant. 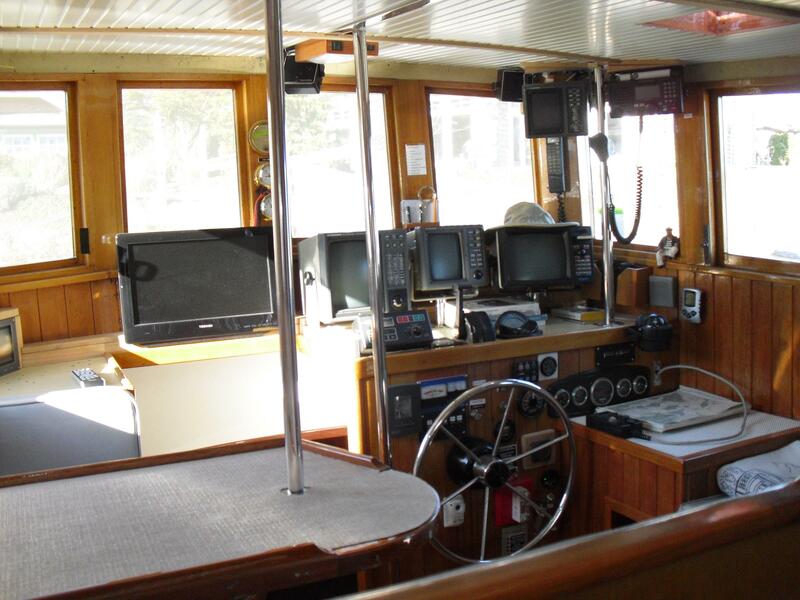 Numerous navigation and boating books and digests along with a full complement of engine and equipment manuals and a complete engine room inventory of tools, spare parts and fluids.